During the 2018–2019 season, he leads the Seattle Symphony in a wide variety of concerts, including Bruch's Violin Concerto with Itzhak Perlman, Beethoven's Ninth Symphony, and a festival of Brahms concertos. In 2017–2018 he conducted a benefit concert featuring Macklemore & Ryan Lewis and Ciara, a festival of Prokofiev concertos, and an all-Russian program with pianist Beatrice Rana. As guest conductor, Rus Broseta's 2018–2019 season includes debuts with the Detroit and Omaha symphonies and the Orlando Philharmonic, and return engagements with the Houston and North Carolina symphonies and, in Europe, the Palau de les Arts in Valencia and SWR Symphonieorchester in Stuttgart. Recent highlights include performances with Orquesta de Valencia, WDR Köln, Orquestra Sinfónica do Porto Casa da Música, and, closer to home, with the Kitchener-Waterloo Symphony. In 2014 Rus Broseta led a joint performance of the SWR Symphonieorchester and the Ensemble Modern at the Musica Festival in Strasbourg. He has since appeared with the Orquesta Filarmónica de Buenos Aires, the BBC Symphony Orchestra, Orquesta Sinfónica de Radio Televisión Española, and Ensemble Intercontemporain, Orchestre Les Siècles, which performs on period instruments, and with orchestras such as the Beethoven Orchestra Bonn and Bochumer Symphoniker. He has appeared at numerous music festivals including the Klangspuren Schwaz, Transart Festival Bolzano, Ensems Festival Valencia, and the Cresc... Festival Frankfurt. He has worked closely with composers such as Wolfgang Rihm, Hans Zender, Johannes Maria Staud, Thomas Adès, Philippe Manoury, Magnus Lindberg, Martin Matalon, Francisco Coll and Luca Francesconi. Rus Broseta studied composition and saxophone at the Conservatory of his native Valencia, with further studies in conducting in Lyon, at the Conservatorium van Amsterdam, and Universität der Künste Berlin; and he has received invaluable guidance from Bernard Haitink, Pierre Boulez, David Zinman, Kurt Masur and Steven Sloane. 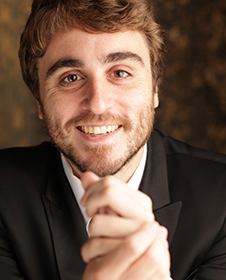 He served as Assistant Conductor of the Orchestre Philharmonique de Liège in the 2009–2010 season, the Dutch National Opera Academy in 2010 and the Jove Orquestra de la Generalitat Valenciana from 2010 to 2013. In 2011 he founded the Spanish chamber orchestra Grup Mixtour, which he still directs today. There, he aims to revitalize concert experiences through eclectic programming of music from different eras and with diverse aesthetics.